R.A. Dickey On 'Winding Up' As A Knuckleballer New York Mets pitcher R.A. Dickey is currently the only knuckleball pitcher in the major leagues. His memoir, Wherever I Wind Up, explains how his life — and career — have mimicked the unpredictable trajectory of the difficult pitch he throws game after game. As part of our year-end wrap up, we are sharing the best Fresh Air interviews of 2012. This interview was originally broadcast on April 10, 2012. 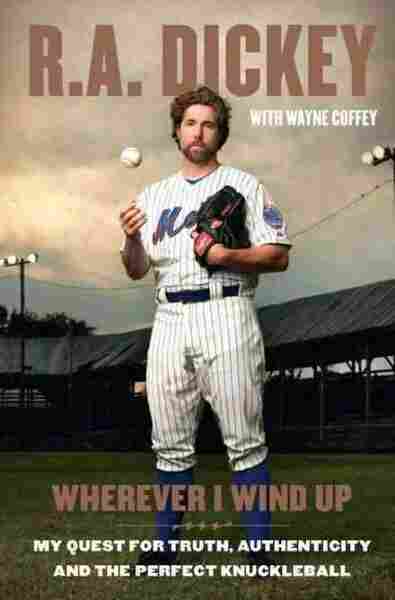 In his memoir, Wherever I Wind Up, Dickey details how his selection as a No. 1 draft choice by the Texas Rangers was sidelined by the discovery that he was missing a ligament in his right elbow, how he bounced around the minors for years, and how learning to throw the knuckleball saved his career — and helped give him the 13th-lowest ERA in the National League last season.